At Electric Guard Dog, we are energetic and diverse innovators, problem-solvers and protectors who bring big ideas to life. As your security partner, we take our responsibility of relentlessly protecting your business seriously, from employing the largest field technician and customer service team dedicated to electric security fences to continuously integrating new technologies into our world-class system. We work together, and solve together, to bring peace of mind for thousands of commercial and industrial companies nationwide. Meet our leadership team. Mark is a veteran of the document security industry with a track record of simultaneously delivering significant revenue growth while improving margins and customer service, running businesses internationally and domestically. 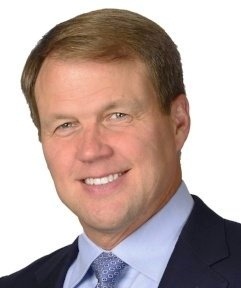 Prior to joining Electric Guard Dog, Mark recently served as president of Recall Corporation, North and South America. The $850-million business services company provides outsourced information management services to companies worldwide. During his tenure, Mark made improvements to operations, developed and implemented a new strategic plan for salesforce growth, and improved employee satisfaction. 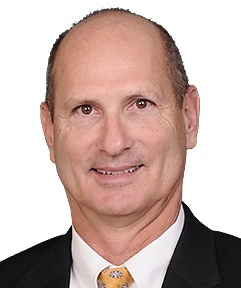 During his time at Recall, Mark also served as President of Australia and New Zealand, Vice President of North America Operations, and General Manager of Document Management Services. 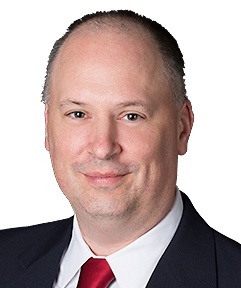 Earlier in his career, Mark acted as a supply chain consultant with A.T. Kearney, worked in senior account management positions with The Coca-Cola Company, and held senior management roles with ICG Commerce. He also served for five years as a Logistics Officer in the U.S. Marine Corps. Mark is a graduate of the United States Naval Academy and holds an MBA from The Wharton School of the University of Pennsylvania. Michael came to Electric Guard Dog with 18 years’ experience in leading sales teams to success. While at Valassis, a leader in intelligent media delivery, he served as vice president of sales, taking his product development and sales teams from $0 to $92MM in annual sales. He managed a diverse project portfolio, including new product development, CRM implementation, data and analytics programs, as well as sales leadership training. In a prior role as director of sales for Cintas Corporation, Michael led the hiring, training and development of sales teams charged with growing the company’s key business units for the top sales region. Michael holds a BA in communications/public relations from Michigan State University with formal sales training in both the Challenger and Requirements Based Selling methods. He is a native Midwesterner and avid runner, and recently relocated to the Columbia, SC area with his wife, son and daughter. 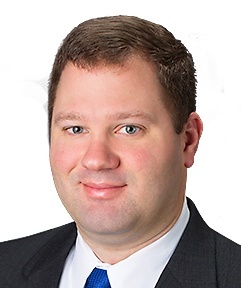 Nathan joined Electric Guard Dog in 2007 and is responsible for finance and accounting, human resources, legal and compliance activities, and advising management and the Board of Directors on corporate strategy. Nathan has helped lead the transformation of Electric Guard Dog from a family-run business to a metric-driven, investor-run business. 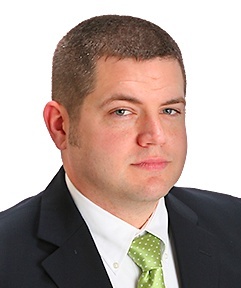 A CPA with a bachelor's degree in Business Administration/Accounting from the University of South Carolina, Nathan previously held roles in public accounting at McGregor and Company and Elliott Davis, LLC. He also served as chief financial officer of Glassmaster Company, a publicly held manufacturer based in South Carolina. In 2007, he was named by The State newspaper to the "20 Under 40" list of "Rising Stars in the Midlands". Nathan lives in Chapin, SC, with his wife and two daughters. Randy is the son of Electric Guard Dog founder Bill Mullis. He began working in the security industry in 1982 as part of the Sentry Dogs family business that preceded Electric Guard Dog. He joined the U.S. Air Force in 1986 and served until 1990. During his time in the Air Force, he worked with specialized missiles, including nuclear cruise missiles. He returned to help found Electric Guard Dog in 1991. He has held various roles over his time with the company, serving as part of the early installation and service teams, and currently responsible for field operations, including our 40+ service technicians and 25+ install crews, nationwide. Randy lives in Chapin, SC, with his wife and two sons. J joined Electric Guard Dog in 2008 and is currently responsible for the Technology department, overseeing the company’s efforts in providing greater integration, including security technologies such as access control, video and intrusion detection. J also oversees the company’s ERP system and other initiatives aimed at enhancing customer fulfillment and EGD’s premier electric fence system with advancing technology, including “machine to machine” communication. After receiving a degree in Political Science from Syracuse University, J worked in a variety of high-tech positions, including ADP's Brokerage Industry Services Group, based in Mount Laurel, NJ, where he rolled out new CRM/trading software for top U.S. brokerage firms. After that, J worked for Prophet 21, implementing a start-up, state-of-the-art Windows and SQL-based application for the distribution industry. In 2001, J joined CC Dickson as director of IT, where he transformed the company's handwritten invoice, no-inventory tracking system to a leading, technology-based HVAC/R distribution organization. Having successfully modernized their technology, J became the new director of materials. J lives in Rock Hill, SC. Michael joined Electric Guard Dog in 2008 and is responsible for all code compliance west of the Mississippi. Michael has a rich and varied sales, marketing and entrepreneurial background. In 2006, Michael formed "The Preserve at 5 and 20", an environmentally sensitive residential development and acted as developing partner. Prior to that Michael served for four years as vice president of marketing and sales for Supply Chain Solutions, a provider of contracted third party labor services. He has held several other positions in sales, management and marketing in the entertainment, communications and medical fields. Cindy joined Electric Guard Dog in 2008 and is responsible for code compliance east of the Mississippi. Prior to joining Electric Guard Dog, she had a 25-year career with GTE/Verizon Communications, where she held various positions in Computer Operations, Wholesale Ordering/Billing Operations and IT Requirements before retiring in 2007. A lifetime resident of the Raleigh, NC area, Cindy is a graduate of the University of North Carolina with a bachelor’s in Business Administration. Cindy lives in Cary, NC. 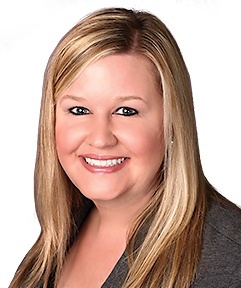 Shara joined Electric Guard Dog in 2014 as an Outside Sales Representative for the Dallas market. 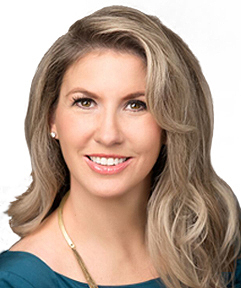 Her role quickly expanded due to her passion for the business and tenacity to grow her territory and responsibilities, including establishing solid relationships with several key national accounts, and taking on the role of National Trade Show Coordinator. Shara’s natural ability to nurture relationships with many of EGD’s top industry contacts led her to a National Account Director role in 2018, the culmination of a personal vision, focus and determination to exceed company expectations and sales goals. Shara takes pride in her ability to be a team player and in building close business relationships to increase sales. 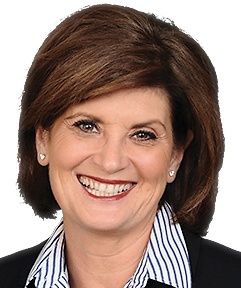 Shara holds a bachelor’s degree in Psychology from Wesleyan College and resides in Dallas with her husband and daughter. 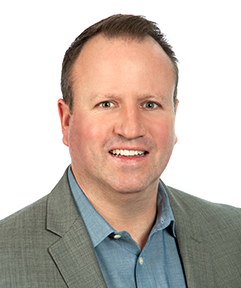 Drew joined Electric Guard Dog in 2017 as National Account Director after a 15-year legacy of sustained success, both as an individual contributor and sales leader for numerous national accounts, ultimately serving at the Director of Sales level in a diverse series of industries. 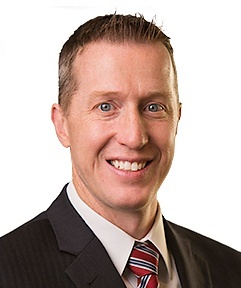 Drew’s extensive experience in sales, marketing, corporate strategy, business development, strategic planning and change management aided him in leading sales efforts for Honeywell’s Automation & Controls Solutions for nearly 10 years. Drew also grew sales double-digits within the Business Information (BI), Industrial Automation and Plastic Industries at Honeywell. Drew is a merit graduate of the United States Naval Academy in Annapolis, MD, where he played Varsity Soccer. Following graduation, he served as Captain in the United States Marine Corps for five years prior to transitioning to Corporate America. Drew earned his Master's in Business Administration (MBA) from Emory University in Atlanta, GA.
Joe came to Electric Guard Dog with a proven track record of high-level performance in the financial, industrial and medical industries. He has won numerous leadership awards throughout his career and most recently served as a district sales manager for G&K Services in West Central Florida. 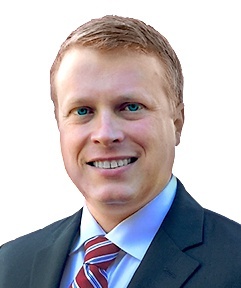 Joe’s team-first approach coupled with his sales acumen and strong coaching methodology are instrumental in his role as regional director of sales at Electric Guard Dog, covering the Atlanta, North Carolina, South Carolina and Florida markets. Joe holds a political science degree from Lee University and an MBA from the University of South Florida. He recently relocated to Atlanta with his wife and two daughters, Sophie and Ellie. Austin came to Electric Guard Dog with over 18 years of experience as a B2B sales manager with proven history of revenue and profit growth. Most well-known for his amazing returns as a sales director at NuCO2, a beverage gas and equipment solutions company, Rappe spearheaded a team of outside sales representatives that covered 14 states. During his five-year tenure, he was named to the company's Presidents Club three times. Austin’s ability to create innovative new services, products and customer solutions is complemented by consistently building, managing and motivating high-performance teams. His high-performance track record and commitment to the team are career signatures and the right fit for a home-run in his role with Electric Guard Dog. Austin is a graduate of Virginia Tech, where he was a four-year varsity baseball player. Mike joined Electric Guard Dog in 2014 as an Outside Sales Representative for Washington and Oregon, and he demonstrated an immediate desire and aptitude to learn the outdoor security industry. He achieved year-over-year sales growth from day one and was instrumental in EGD gaining ground among exploratory market segments. Mike earned the distinction of EGD’s Top-Producing Outside Sales Representative in 2017, when he also assumed sales responsibility over Northern California. As Regional Director of Sales—West, Mike typifies our company culture of advancing high-performing employees to new heights. He attributes much of his success to others who have helped him along the way. 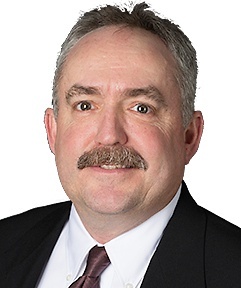 Mike holds a Bachelor of Science degree in business management and resides in Vancouver, Washington, with his wife and two children. Josh joined Electric Guard Dog in 2012 and is currently responsible for managing the company’s growing Inside Sales department. Since joining Electric Guard Dog, Josh has twice broken the monthly sales record and quickly moved up the internal ladder. Josh was first promoted to senior inside account executive in 2014 and then to inside sales manager in 2015. 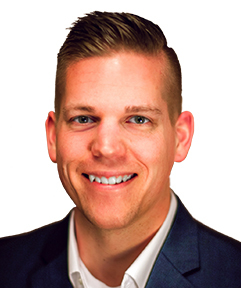 Josh has extensive sales and marketing background, including prior experience with Bell Aviation, where he was awarded “Rookie of the Year” in 2005, and ADT. Josh is a graduate of Midlands Technical College and currently lives in Batesburg-Leesville, SC, with his wife and their four children. Crystal joined Electric Guard Dog as a west coast project manager in 2012, advanced to senior project manager in 2014 and then to manager of installation in 2016. She brings extensive background in installations, operations, sales and project management — not to mention an entrepreneurial spirit and ability to build rapport, which come naturally as an owner of a commercial and residential janitorial business since 2008. When Crystal is not overseeing the project management teams that work with the install crews, technicians and existing customer accounts, she’s busy maintaining contractor relationships, addressing existing customer needs and helping build business at Electric Guard Dog. She also helps manage inventory, logistics, scheduling and technical support. Crystal is a graduate of Southern Wesleyan University and holds a Bachelor of Science degree in business management as well as a degree in accounting and marketing. Crystal lives in Lexington, SC, with her two daughters and son. Jennifer joined Electric Guard Dog in 2014 as a customer service representative, was promoted to technical support analyst soon after, and now manages the company’s growing Service and Support department. At Electric Guard Dog, customer service encompasses a wide array of skills ranging from account management to technical support and system programming, all of which are strengths that Jennifer brings to the team. She has over 20 years in customer service and has spent the past 10 years serving in a technical environment. In her prior role with a global software sales firm, she achieved the Quarterly Top Performer accolade on four occasions. 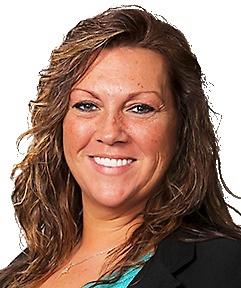 A native from Allentown, PA, Jennifer earned her A+ certification and Server Administration degree from Midlands Technical College and currently lives in Lexington, SC, with her husband and three children.